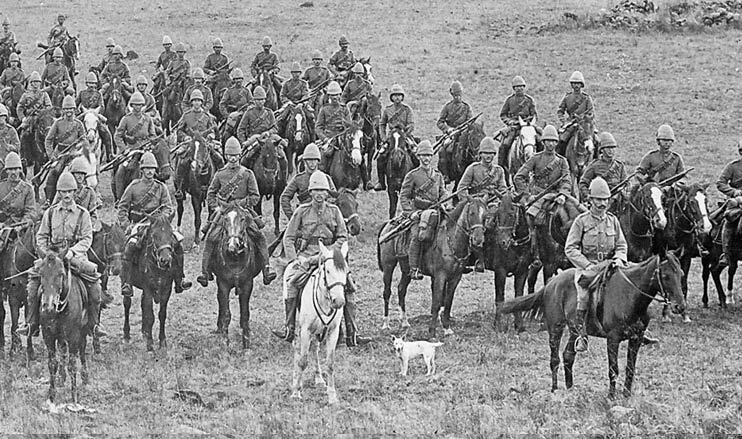 One hundred and sixteen years ago, on 28th February 1900, the siege of Ladysmith, South Africa was lifted and the besieged residents and military units were saved. The units in the town included the 2nd Bn King’s Royal Rifle Corps and the 1st Bn The Rifle Brigade were part of the relieving force. The regimental archive holds over 100 documents and photographs relating to this event. 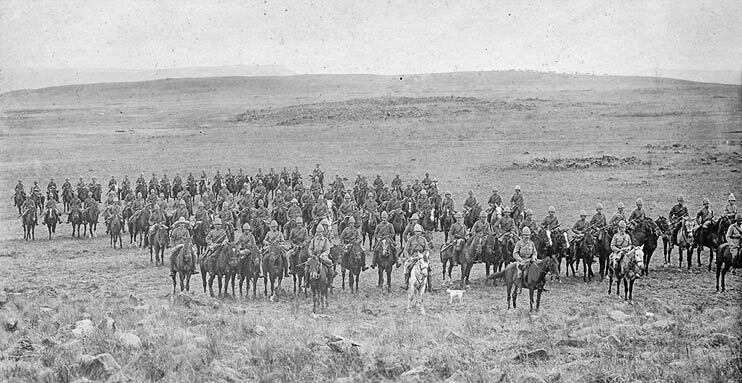 Above: Photograph 170A12W/P/2266 The Mounted Infantry Company of 2nd Bn King’s Royal Rifle Corps in March 1900 after the relief of Ladysmith. Detail below.